Being a quality-centric organization of this industry, we are engaged in providing a wide array of Motor Starter Capacitors. 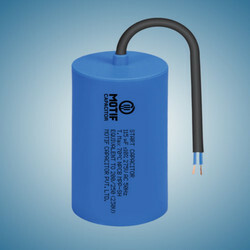 We boast of a vast array of products such as Starting Capacitor. Manufactured using high quality raw materials, these capacitors are available to clients at leading market prices. These capacitors are economically priced. These are extremely sturdy and durable. Being resistant to damage, these are highly preferred by clients. We are involved in offering a world class range of Motor Start Capacitors. 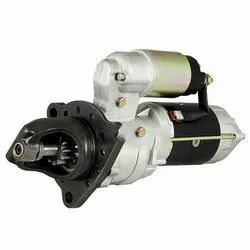 It is available with us in varied configurations that meet on customer’s demand. In our wide range of products, we are paramount in offering precisely developed AC Capacitors. We are a well-known Motor Starting Capacitors Manufacturer, Exporter and Supplier based in Delhi, India. The Motor Starting Capacitors are precisely designed using imported foil in compliance with IS 2993 : 1998 and other relevant international standards. All electrical connections of Motor Starting Capacitors are cold welded. We have emerged as a leading manufacturer of Capacitors for Motor Start. These capacitors are considered as significant part of motors, Submersible pump system and so on.